Sleek, stylish and rich in Oakley technology. The Oakley Conductor 6 is, as the number suggests, a 6 base lens curve sunglass from the brand that know how to keep things visually correct. Polarized. Lead with Black Iridium Polarized Lens. 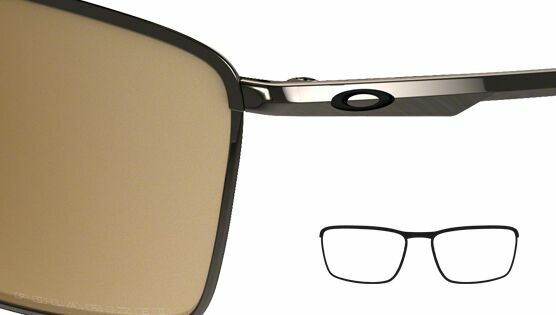 Oakley Conductor 6 Sunglasses are crafted from a lightweight alloy blend that utilises their super safe and comfortable Three-Point Fit, comfort that is added to thanks to their patented Unobtainium® earsocks and air-filled silicone nose pads. Add some integrated spring hinges, throw in Oakley's XYZ Optics® for perfect clarity at every angle of view and finish with Oakley Plutonite® that inherently filter out 100% of all UV. Polarized options in the Conductor 6 make this a really strong player in the lifestyle street, and help keep that excruciating glare at bay, properly.